The 5kW solar power system will supply 20kWh per day and store 10kW in the batteries per day on average over the year. The client wanted to implement a solar power system primarily as a commitment to the environment. In addition as a rural property they suffered extended black outs and if under threat of bush fires faced the risk of losing power disabling their ability to pump water to protect themselves and their property. Gaining control of their power system, especially at critical times, and being as independent as possible whilst making environmental choices was the key to this installation. 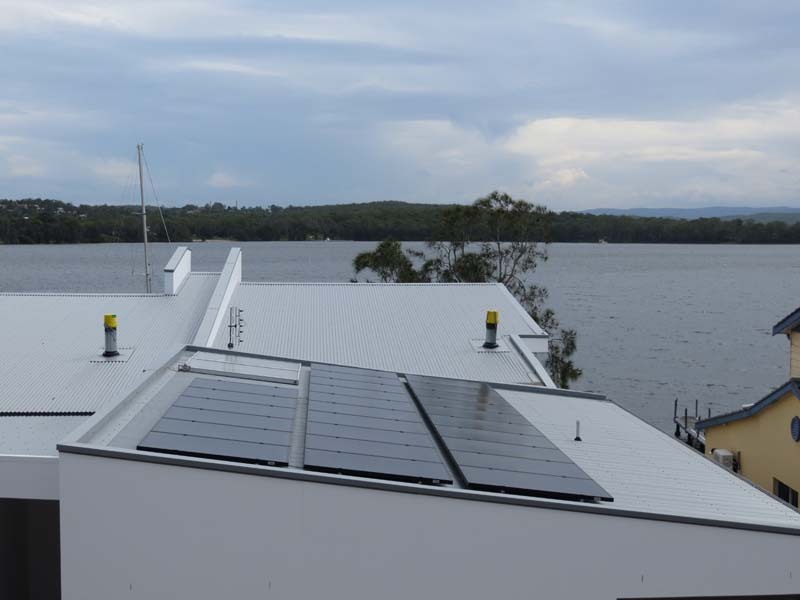 The design of choice was a Hybrid Solar Power system combining a PV installation with a storage capacity whilst maintaining the grid connection as a back up. 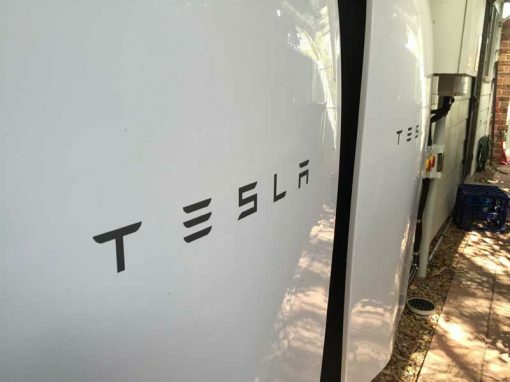 The Hybrid Solar system was key to enable flexible use of solar power system supplying either the home as needed or charging the battery bank for later use. 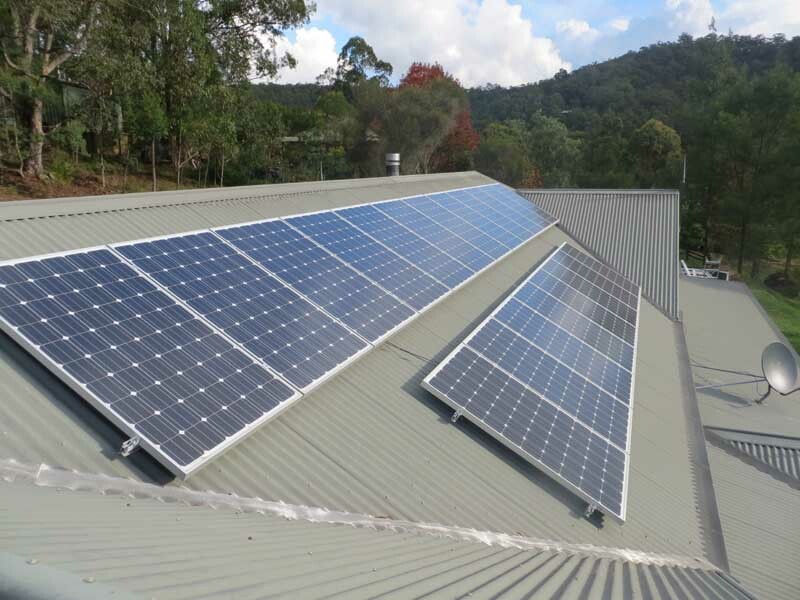 Maintaining a connection to the grid gave them a degree of security whilst peak shifting their grid use to off peak periods to top up battery levels in times of low solar production at significantly lower rates. A suitable weather proof enclosure was designed to house the management system and battery bank. This included being robust, water tight, well ventilated, aesthetically pleasing in keeping with the external appearance of the house with a long term life span of the components. The final structure was constructed from galvanised steel, recycled plastic or aluminium. The design was based around the customer’s energy usage along with a comprehensive site evaluation for solar. The system size means the customer will be completely independent for most of the year with minimal grid assistance required through the winter months. The Selectronic management system was chosen for its capability to manage the system requirements. Programming the peak shift power management within this system is a sophisticated capability and albeit a growing trend still quite rare in today’s market. AC coupled Hybrid Solar power system will supply the house from the solar panels during the day and charge the batteries for night time use. This system has a maximum power delivery of 3kW continually. In periods of poor weather or high power demands, additional power will be automatically provided from the grid. During peak production seasons the home will be 100% self sufficient. During winter months the system will provide 70% power with resultant purchased electricity at off peak rates representing a significant saving. The outcomes of this project enable maximum use and benefit of a grid connect solar power system and a peak shift only demand on the electricity grid. The family is mostly self sufficient and is in control of their power management and retain a level of protection in times of black outs and critical events such as bush fires. They will reduce their use of the grid primarily to only at off peak times lowering the cost of any electricity purchased. The Hybrid solar power system creates a far more flexible solution to home owners that require more power demand at times other than peak production. 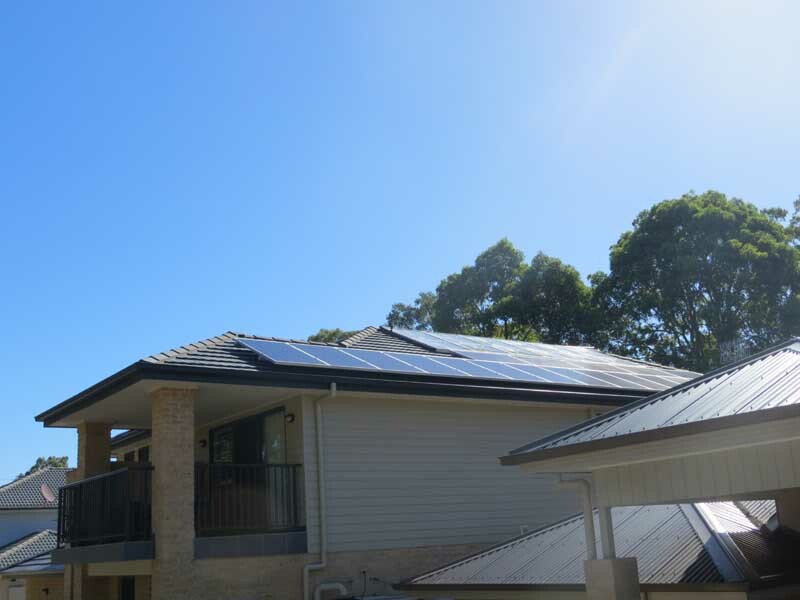 The home owner is very proud of the fact that they are mostly self sufficient in their power requirements using mostly clean energy technology. At the time of installation the customer also installed a solar hot water system to further support lowering their energy demands.